Once the panel of judges, Tom Stevenson, Essi Avellan and Dr Tony Jordan decided the winners of the Gold and Silver medal awards, they then re-tasted the highest performing sparkling wines in order to decide upon the Best in Class, Regional Champions, National Champions, World Champions (by style) and finally the Supreme World Champion. 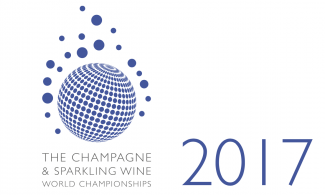 Champagne received a whopping 91 Gold and Silver medals at this years competition, over 30% of the total number awarded. Below, we discuss some of the noteworthy Champagne winners. The full list of award winners can be viewed here. Dom Pérignon P2 1998 has been released but we have been told only 18 have been released to the UK so far. We are hoping for some more but not only is this incredibly rare, it now has a supreme title too. Another winner, and one that we are not surprised by is Louis Roederer Brut Premier NV in magnum, a delicious NV with an abundance of fresh fruits, the inclusion of reserve wines adds complexity and maturity, apples and pears, blackberries and raspberries are present. There are significantly more than 18 of these magnums in the UK and we do have them available. Piper Heidsieck 2008 is not yet available but as soon as it is we will be listing it; 2008 is a vintage that across many producers is showing signs of becoming the next sublime vintage after 2002. A lot of producers are very excited to see what the 2008 has in store for the future. Congratulations to all the producers who won an award, we are already intrigued to see what the 2018 awards will hold.